If you’re looking for hardwood flooring Gemini Floor Services is centrally located in Brooklyn and serves the 11217 Brooklyn neighborhood of Gowanus. 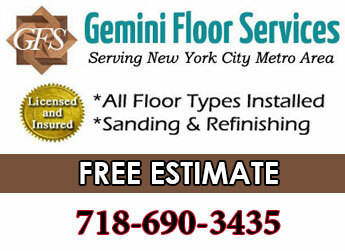 Gemini Floor Services is a family owned local flooring contractor in the flooring industry over 30 years serving Brooklyn and NYC metro area since 2005. Gowanus is another brooklyn neighborhood which is gradually being revamped. It was formerly a heavy industrial zone full of industrial plants and warehouses. With a heavily polluted Gowanus Canal full of toxic sludge and running through the whole area it would not seem that Gowanus would be at all a desireable residential area. But in 2009 the Federal government designated funding for cleanup and rezoned the area for residential development. Since then many industrial warehouses have been converted to condos and art studios. Alot of new high rise condo construction is also going on. Low cost housing has attracted young folks & artists into the area. This is typically how a Brooklyn neighborhood begins to transform. Gownanus’ hip and trendy renaissance has begun with funky restaurants, bars, music venues & art galleries popping up. Some notable trendy businesses are the Bell House Music Venue, Four and Twenty Blackbirds pie shop and the Royal Palms Shuffleboard Club. Though the nabe still looks pretty gritty and rough around the edges Gowanus has much potential. 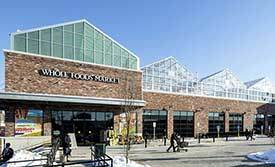 Whole Foods recently opened there which tells alot. The store has been a grand success and is receiving tons of rave reviews. Eventually with the canal cleaned up and refurbishing completed Gowanus could be another highly desireable Brooklyn neighborhood. Neighborhoods like this are ideal for us because there is so much renovation work. We enjoy being part of the improvement process by installing and refinishing wood floors and bringing the old back to new.